If you feel the need to refuel in the sun, here is an exciting new experience to try: Join us on the jet bike tour along the sunny shore of Southern Tenerife! Apart from fun and lots of adrenaline, with the jet-ski, you will discover a natural virgin site where nature still owns all rights. You will make stops for dolphins and whales watching right by you, for swimming and snorkeling. 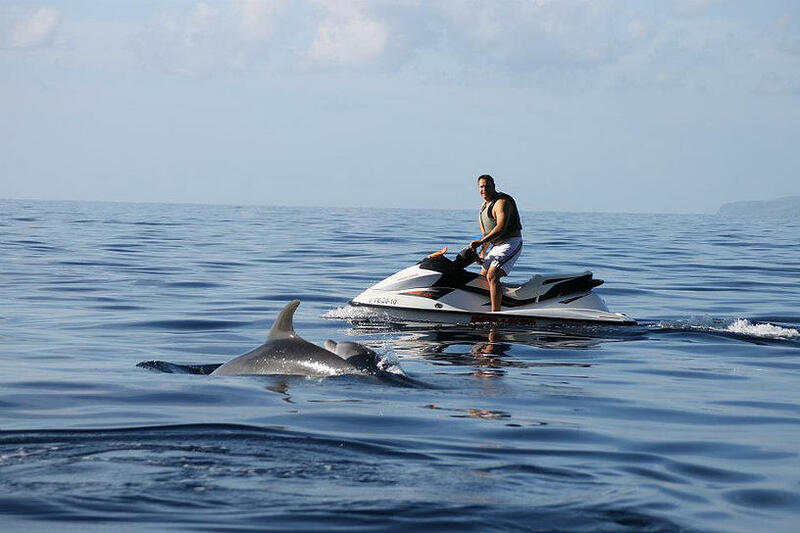 Book your jet bike Safari right away and don’t miss this exciting trip! To allow customers of 16 and 17 years old to drive a jet bike we need that their parents sign an authorization form before the activity starts. 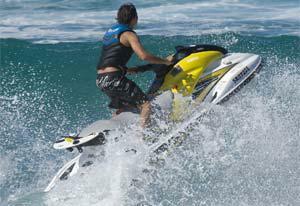 Under 16 years old can only go as a passenger on a Double Bike and cannot drive the jet ski. at 11:00 AM and 01:00 PM and another start time is possible on request. 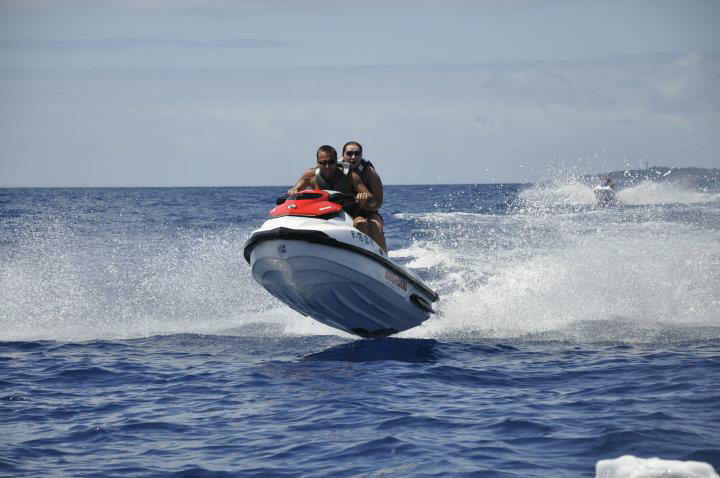 In order to make your booking of JET SKI Safari – 2h Tour Water Sport, Fun & Rides easy and comfortable Tenerife Host use the most advanced and user friendly booking platform TripsPoint.com where you can easily check last actual prices, the tour availability, required booking deposit and book this tour. To get more information of JET SKI Safari – 2h Tour Water Sport, Fun & Rides and do booking, please, click the button ‘Book Now’. You will be taken to the tour page at TripsPoint.com where you can easily book the tour. Once the booking of JET SKI Safari – 2h Tour Water Sport, Fun & Rides made at TripsPoint you will get your tour Voucher / booking confirmation with all details, including exact pick-up point with pick-up time and map. 140€ – per Single Bike for 1 person. 170€ – per Double Bike for 2 persons. Insurance, transport and equipment are included in the price.